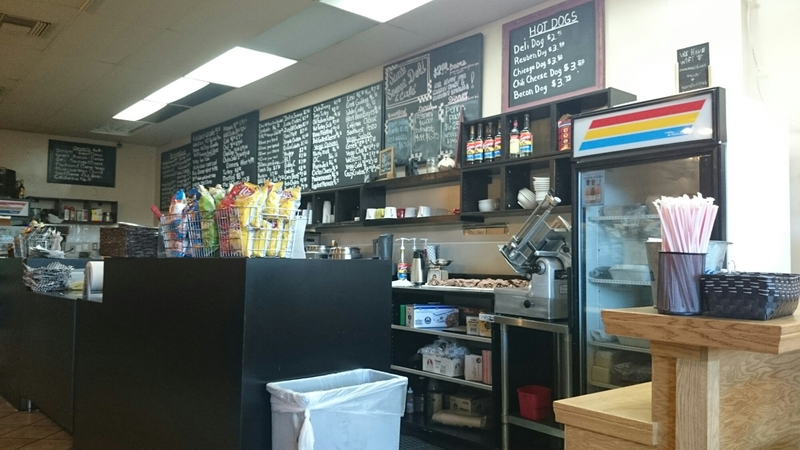 I’ve been a local to Redlands, CA for a few years now and this is the first time I’ve stepped into this deli. It seemed like a very hip place to hang out. I ordered to go, but I could definitely see myself coming back just to hangout and get some good eats. (Bonus, they have free wifi). The hot dog was all beef and had a good flavor to it. The bun was delicious. They toasted it just right and it still remained soft. 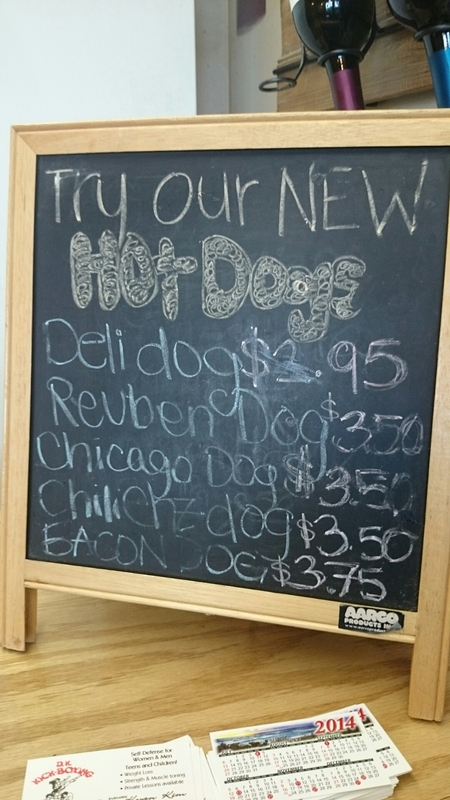 The “Deli Hot Dog” is a simple hot dog with sweet picks, diced tomatoes, chopped onions, and mustard. It works! 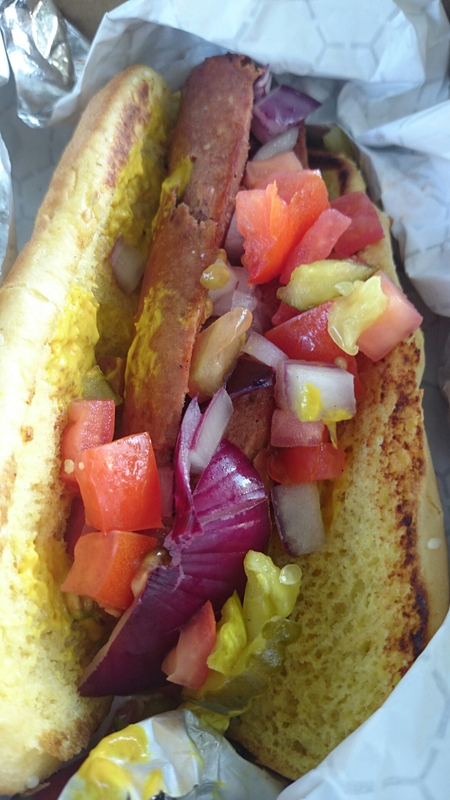 Just a great hot dog to eat when you’re feeling like a hot dog. If anything, check it out just to hang out and relax and it’s on State Street where there are boutiques and other food spots to check out.